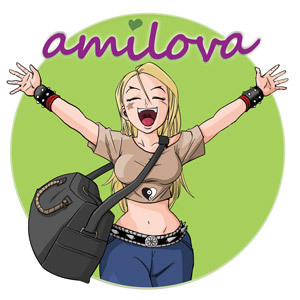 Amilova.com created the concept of "Fair Trade Comics"
The Amilova Collective and "Fair Trade Comics"
Amilova.com offers them royalties and shares to artists publishing eBooks and/or participating to the Premium collection. They receive a percentage of all sales related to their works : printed books sales, but also digital format sales, regardless of the country where the sale took place. No small print here! Fair Trade Comics means transparency and ethics . 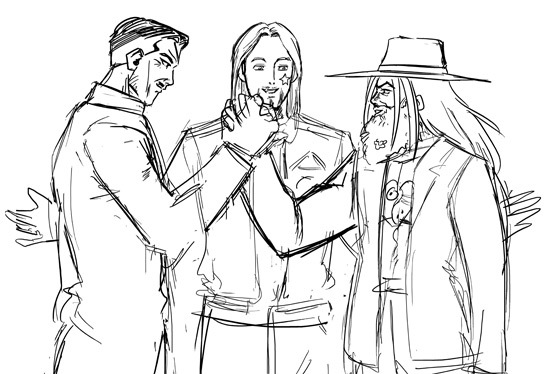 Fair Trade Comics aims to allow comics and manga artists to practice their art and live with dignity by offering readers the fruits of their art. To accomplish its mission Fair Trade Comics takes advantage of physical and digital distribution in a smart and respectful manner. Smart because earnings come from "everywhere at once": advertising, premium accounts but ALSO physical distribution. By varying the revenue sources and aiming an equitable distribution of gains between artists and Amilova.com, the Fair Trade Comics becomes a reality. Respectful because works of art are not mere merchandise like all the rest and demand a particular kind of treatment. "Fair Trade Comics" is a concept in which the focus is on the well-being of the artist, and not so much on the "comics industry" profits. With "Fair Trade Comics" the artist is less under the pressures of the comic book industry, but rather under the pressures of the imagination and the audience, which permits a far greater freedom and creativity. The idea is not so much guided by the strive for riches, but rather by the spirit of the Universal Declaration of Human Rights and its articles: "everyone who works has the right to just and favourable remuneration ensuring for himself and his family an existence worthy of human dignity." Premium Authors and "Fair Trade Comics"